What Does "Holistic Cat Treats" Mean and Why Should I Care? When it comes to cats, us humans often worry more about what we’re feeding them than what we’re feeding ourselves! Call it crazy, but, at the end of the day, they’re our fur babies, and it’s our responsibility to ensure that they’re healthy. For this reason, many of us examine the nutritional profiles of cat products, raising concern over whether they contain “holistic” ingredients. Some cat parents might argue that holistic cat treats are the only type of treats worth purchasing for our feline friends! Of course, some might believe this level of scrutiny is going a little too far. After all, many cats chowing down on non-holistic treats are happy as can be. So, many might wonder, why are holistic cat treats deserving of all this hype? What does ‘holistic’ mean on cat food labels? Only natural ingredients are used. This means that the food is mostly composed of whole ingredients, like fruits, vegetables, and hearty grains. Just as well, holistic cat treats and food should be free of chemical, artificial, processed, and by-product ingredients, as well as hormones, dyes, antibiotics, and pesticides. The food was not designed to trick cats into eat more than they should. Rather, holistic cat foods are intended to actually benefit the cat’s health. The food may be enriched with vitamins and other healthful supplements to support cats’ well-being. In an effort to sell more, some cat food companies will put the word “holistic” on their product labels even though their products are anything but holistic. Since this is not an uncommon practice, we encourage cat parents to read through the ingredients list of whatever cat foods they consider purchasing. 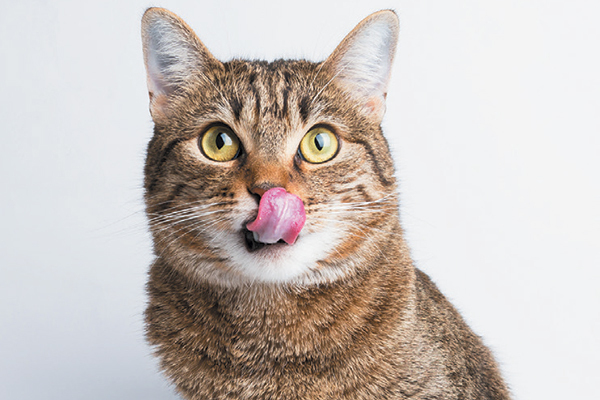 Why cat parents should embrace holistic cat treats. Cats who get little exercise, and eat a carbohydrate-, hormone-, and chemical-heavy diet are at risk for obesity and other diseases as they grow older. On the flip-side, cats who enjoy regular play time and eat a diet that’s rich in protein, healthy fats, and whole grains are more likely to live long, healthy lives. 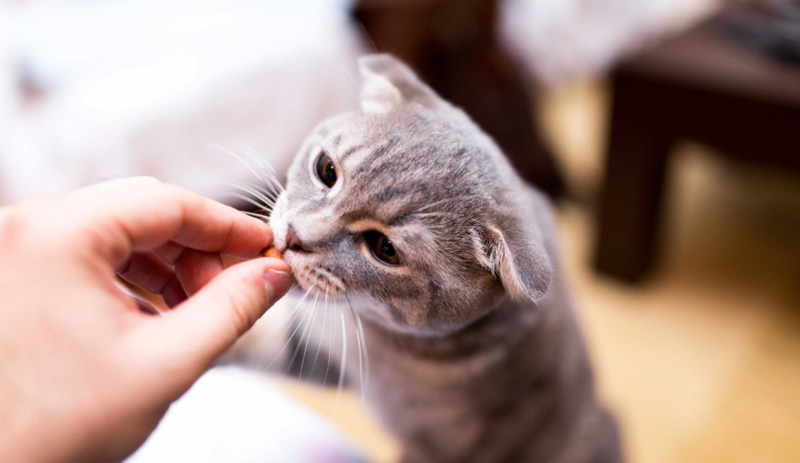 With this in mind, it’s easy to see why health-conscious cat parents opt for holistic cat treats and foods: they check off all of the boxes when it comes to providing cats with nutrient-dense food that’s also low-calorie. They’re a guilt-free delight! They are not as expensive as you may think! It’s true that the few bucks saved a the cash register for generic treats won’t hurt your wallet *as much* in the short term. In the long term, however, if your cat gets sick or obese and needs to be taken to the vet for frequent checkups, you could be shelling out hundreds – even thousands – of dollars! As we mentioned before, loading your kitty up on empty carbohydrates, chemicals, and other questionable additives can greatly reduce your cat’s health and ability to lead a long life. That said, while holistic cat treats might cost a dollar or two more than their generic counterparts, the pay-off, which is less trips to the vet’s office and a healthy, happy cat, is much more cost-effective over time. They support better practices in the cat food industry. Every time we shop, we vote. Purchasing natural, holistic cat treats sends a message to all companies, generic and boutique, that cat products should put cats’ health, first and foremost. Your cats will probably love them. Many cat parents might feel nervous about introducing a new treat into their cats’ diet. How do you know if your cat will like them? What if you can’t return them? It’s true that some cats can be super picky about what they eat… But you never know if you don’t try! Bear in mind: just because a cat product prioritizes health and wellness, it doesn’t mean that it’s not delicious and crave-worthy. Many cats will attest: holistic treats are, indeed, delicious as fluff!